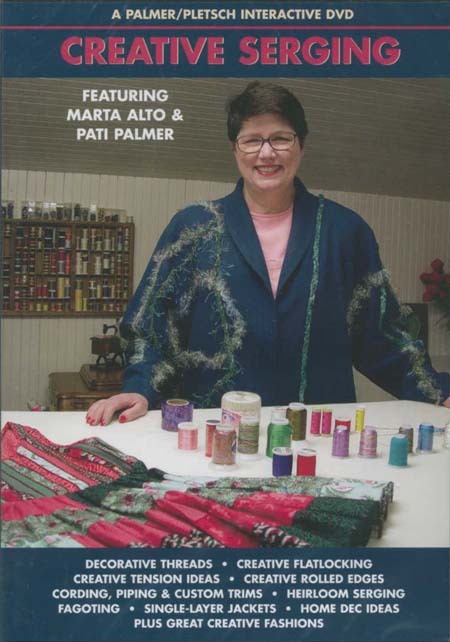 Marta Alto and Pati Palmer show you how to maximize your serger and have fun using it. In this two hour video based on the book, Creative Serging. You'll also see a fashion show of creative clothes.